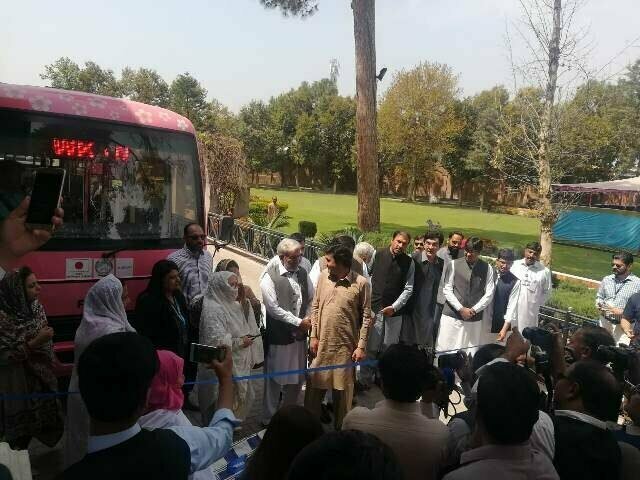 The Khyber Pakhtunkhwa government launched on Thursday a ‘Pink Bus’ service in Mardan in collaboration with the United Nations Office for Project Services. Women have always found it difficult to travel on public transport. They are harassed and feel equally insecure. The problem of women has been answered successfully by the government of KPK. They want to ensure that the women of all ages travel safely in their buses. In order to do this, the first successful effort has been launched in Mardan. 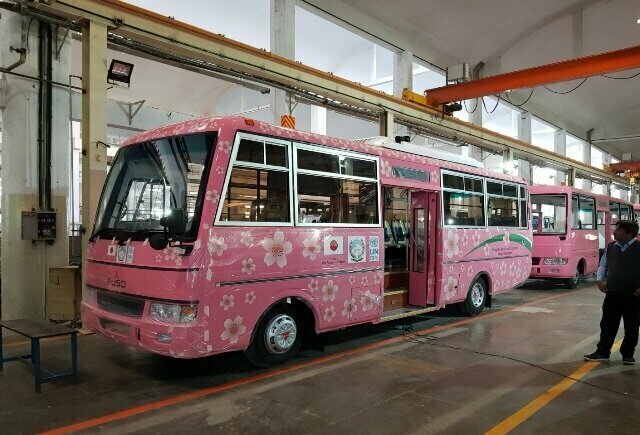 The government last Thursday announced to open the pink buses that are specifically designed for the women. The color itself says that it is something that completely represents the women. 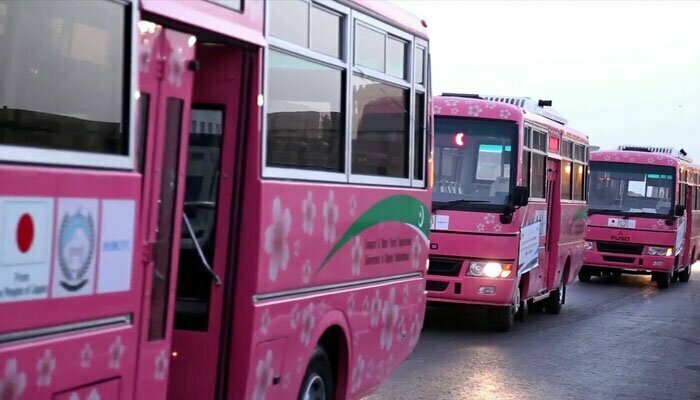 The pink buses are a revolutionary step towards the freedom and safety of the women. This will ensure complete peace of mind and assurance for those who are always concerned about the security of their loved ones. In the initial phase, ten buses will operate on the roads. These ten buses will facilitate the women soon. These buses will be running between the popular destinations of the city. The project is being governed by the TransPeshawar board official who believes in protecting and safeguarding the rights of the women and ensuring safe traveling of the young ones accompanying the fifty percent of the population. The pink buses are going to be theft for the female commuters in the town. This is going to be a great step in empowering women. The government claims that it is just the beginning of the new era for the women who are seeking a better life and secure living. It is believed that this will be a great experience for the women who often felt uneasy in traveling from one place to another. The process will continue and more buses will be running on the road soon in other parts of the province too. It will be ensured that the crew is also trained accordingly. Mardan is the first city in the country to get a women-only bus service and it’s an honor for the city, Hanif told SAMAA TV. The fare for the pink buses has been set at Rs20. The buses will be driven by male drivers with female conductors. “The company wished to have female drivers but it’s extremely difficult to find them in Mardan,” Noman Manzoor, a TransPeshawar communication officer, told SAMAA TV.